Edgewater and Crofton drivers looking for a luxury SUV that want lower monthly payments and the ability to keep up with the latest vehicle technology should consider a Jaguar F-PACE lease. At Jaguar Annapolis, get a great deal with our Jaguar F-PACE lease offers below, then contact our finance center to go over your leasing options. 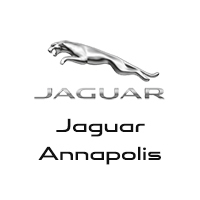 Once you’ve chosen between buying or leasing your vehicle, Jaguar Annapolis can help you find a new Jaguar F-PACE for sale that fits your needs, with features like all-wheel drive, heated seats, and more. With options to upgrade after 36 months, you’ll have flexible options with the latest technology on Severna Park roads. Visit us today for a test drive, or compare the latest Jaguar F-PACE vs. BMW X5 to find out more about the competition.